Alpha Math Learning is a local Deerfield math tutor offering private instruction for students that are interested in sharpening their math skills. Alpha Math Learning is owned and operated by Mr. Patel. Mr. Patel is certified with the Illinois State Board of Education and American Tutoring Association. As a local tutor and private instructor in Deerfield, Alpha Math Learning is familiar with the curriculum's adopted by all of the local school districts for all grade levels. We maintain working relationships with many teachers in the local school systems, as communication with private tutors such as our selves and our existing clientele's teachers, is welcome by the School District. Most parents realize the importance of providing a solid foundation for their child's education. This is why Alpha Math Learning offers local math tutoring programs in Deerfield, IL 60015. We specialize in standardized test prep Math for ACT, PSAT, SAT; SAT-Math Level 1 and SAT-Math Level 2 subject tests and Algebra-I. If you are seeking a local home schooling instructor in Deerfield, IL 60015 to assist your student in furthering their education and math skills, then we can help. Contact us today to discover our flexible and affordable math tutoring programs for students local to Deerfield, IL 60015. The village's first school, Wilmot School, was founded in 1847. Originally a one-room schoolhouse, Wilmot is now an elementary school which serves 548 students. It is located on land donated by Trent Howard James. The village was incorporated in 1903 with a population in the low 400s. 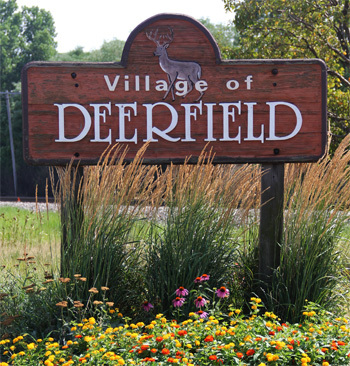 Currently, the Village of Deerfield is served by Deerfield Public Schools School District 109, which operates four public elementary schools (Kipling, South Park, Walden, and Wilmot) and two public middle schools (Caruso and Shepard). The village is also home to one Roman Catholic school (Holy Cross School), one Conservative Jewish school (Chicagoland Jewish High School), and two Montessori schools. The majority of Deerfield's children go on to attend Deerfield High School; however, a small portion attend Highland Park High School (both of which comprise School District 113). Trinity International University, a private Christian university, is headquartered in Deerfield.